For full disclosure, the publisher of this book sent me a copy for free. That said, it did not impact my review. And by the time you’re done reading, I think you should have a great understanding of what this book is all about, and whether or not it’s the right investment book for you. One of the interesting things about this book, is that the author is a decided capitalist. It would be one thing to read a criticism of capitalism written by a Marxist. But in this case, the author has been a successful investment advisor featured prominently in the media over the last couple of decades. Now that you have that background in mind, let’s take a closer look at what this book is all about. A Capitalist’s Lament is exactly what the title sounds like. The book is written by a dedicated capitalist, who seems to be legitimately disenfranchised with what our economic system has become. As the sub-title of the book implies, the contents of the book is all about the many different ways Wall Street takes advantage of it’s customers. And there are many of them. Why Wall Street has largely become a short-term focused casino. The various conflicts of interest that exist in the financial services industry. The high-fees brokers and bankers often push on their clients. The book accurately critiques a variety of things that have gone wrong with our modern form of capitalism. It really is a lament. In a lot of ways, this investing book has a similar feel to David Stockman’s book The Great Deformation, and the all-time classic, Where Are The Customers’ Yachts?. To some degree, I think this latter piece indicates the problems on Wall Street are relatively persistent, and not necessarily something new. Even though that’s the case, A Capitalist’s Lament was published in October 2016. So there are lots of contemporary examples that make the book interesting and relevant. But there’s one aspect of the book that really stood out to me. 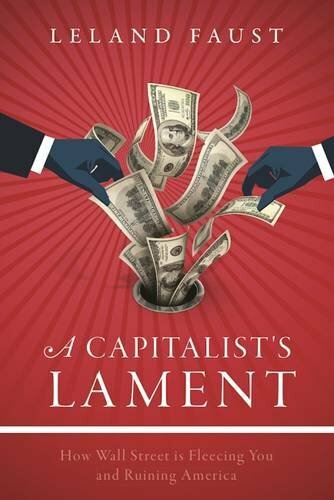 The author of A Capitalist’s Lament , Leland Faust, is a successful investment advisor. He’s the founder of a company called CSI Capital Management, which he started over 33 years ago after graduating from Harvard Law School. Today, the company has over $1.5 billion in in assets under management that he supervises. For his role actively managing money, Faust also has numerous awards and accolades. So why does all this matter? To be honest, given the credentials of the author, I take the criticisms of the book much more seriously. It would be easy for someone outside the system to throw stones. But for someone to have been so successful in an environment, only to turn around and objectively criticize it is very interesting. It’s one thing to see sensationalist headlines about the misgivings of majors banks and the financial fees they pay. But when it’s supported by this educated and informed critique, it really makes you stop and think. And I think in large part, that’s what this book delivers. For me, it was the author’s seasoned and respectable perspective that really made the book sing. On the other hand, there was one part of his tone I didn’t love. Overall, A Capitalist’s Lament does a very effective job summarizing the problems, conflicts and fees plaguing investors. The book rightly shines a light on the fact hat most individual investors are getting fleeced. And I also realize that the book is titled a lament. So in some regards, this slight criticism might not even be warranted. But as a reader, I would have appreciated a little more focus on potential solutions. While awareness of the issues certainly matters, it isn’t enough on it’s own. To that end, the book does have some recommendations on next steps and questions to ask of your investment advisors and product dealers. I think this kind of information is very helpful, and I would have appreciated it if some of these ideas were sprinkled throughout the book a little more. Overall though, I really did enjoy the approach in this book. So let’s finish this book review up. By now, I hope you have a good understanding of what A Capitalist’s Lament is all about. The book does a good job accurately summarizing the problems facing Wall Street, and the general investing public. For this reason, it may be of interest and I recommend taking a closer look at the book on Amazon . I also encourage you to check out the short video book review. After that, you’ll have everything you need to know about A Capitalist’s Lament. This entry was posted in Stock Ideas and tagged investment book reviews on November 29, 2016 by Jworthy. It has become increasingly clear in the past few years that economic markets are volatile and nothing should be taken for granted. We have seen fluctuations in markets across the globe that have proven that even the most diversified and well invested portfolio is not immune to market changes. While traditional stock and bond trading remains a relatively popular investment option, new trading markets have evolved. One of those is the currency market, also known as the forex market. This market has grown exponentially over the years and is closely linked to the growth of the internet. For a deeper explanation about trading on the currency markets and trading online worldwide, visit this page. Online Currency Trading: What It Is and How It Works? While you may have a real thorough understanding of stocks and how the stock markets work, you may have never even heard of online currency trading. The basic idea behind the market is relatively simple; like stocks, the values of currencies fluctuate over time based on supply and demand. Traders buy and sell these currencies, making profits by buying low and selling high, just like stocks. The tricky part to forex trading is that you have to understand how currency markets are likely to react to different events, circumstances, and the results of trading online worldwide. For example, the recent presidential elections in the United States had a huge impact on the value of the Mexican Peso, United States Dollar, Japanese Yen, and many other currencies. Traders that had an inkling about these changes had the opportunity to make a lot of money by purchasing or selling the right currencies at the right time. The nicest part of the forex markets is that they enable trading online worldwide since the market is decentralized and accessed via the internet. This means that traders do not need to move from their couch in order to perform a trade. A lot of people like the level of freedom that online trading awards them because they can trade whenever they have some free time or a spare moment. It doesn’t matter whether you spend your weekend trading or take a moment off during work to make a few quick trades, since the market is accessed from the web, it is extremely easy to access and execute trades. The largest brokers are the best to use when trading forex online because they offer a handful of benefits that can’t be found anywhere else. For example, most of the major brokers are regulated by international agencies. This ensures that you are protected as a consumer and that you won’t be scammed out of your investments. Lastly, the best brokers offer you a treasure trove of information to help educate yourself about the forex markets and how to successfully trade on them. You need to have a good understanding of online trading if you want to truly be successful, meaning that you need to invest time and effort into learning about the industry. Overall, if you are looking for a different trading option that doesn’t involve stocks and the traditional markets, look to forex trading. 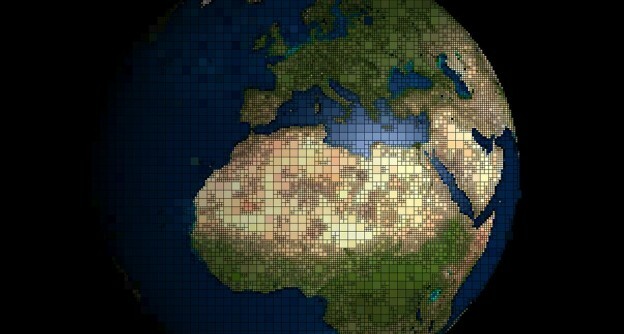 Who knows, may even make it big and hit the jackpot by trading currencies online. This entry was posted in Stock Ideas and tagged stock ideas on November 23, 2016 by Jworthy.